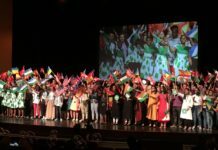 Technovation is an international program that teaches mobile app development, entrepreneurship, and community engagement to middle and high school girls. 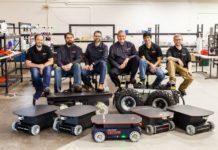 MassTLC’s Education Foundation runs the Massachusetts and Rhode Island regional competition round, which culminates in a team showcase in May. Last year, over 300 girls participated in the competition, and over 150 attended the final showcase. 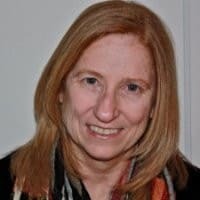 Liz Miller, Director of Engineering at MassTLC Education Foundation sponsor, Kronos, has served as a finalist panel judge for several years. We had the opportunity to chat with Liz about why she and Kronos support Technovation. 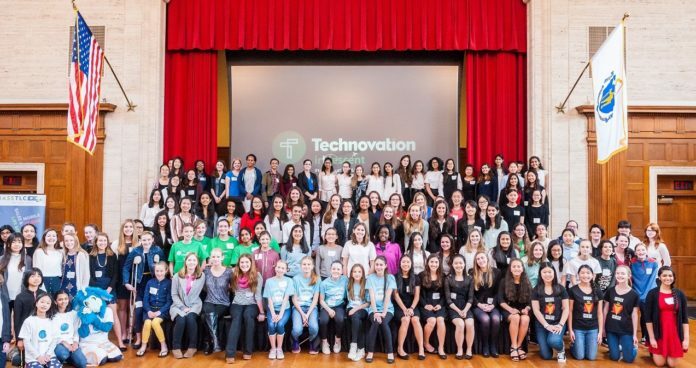 How long has Kronos been involved with Technovation? 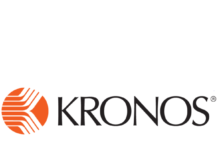 This is the 3rd consecutive year that Kronos Engineering is sponsoring the Technovation program. 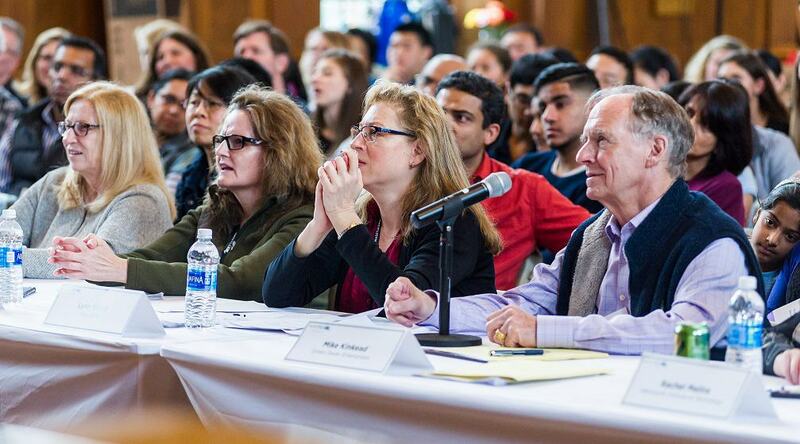 What made Kronos decide to sponsor Technovation? Kronos is committed to many causes that empower the next generation workforce and allow us to give back to communities where Kronites live and work. 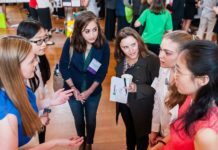 Working with MassTLC to develop the professional careers of women in engineering falls squarely into both camps and is something we’re extremely passionate about. Above all, the Technovation program helps develop a strong pipeline of female talent for the future. Why did you personally get involved? When I began my career in the sciences, there were very few opportunities for advancement and even fewer role models for women scientists. I remember fondly the individuals who sponsored me and opened up doors for me throughout my career, and I am thankful for their encouragement and support. This is my way of giving back and paying homage to those who helped me along the way. I believe that Kronos’ sponsorship in this program combined with my own participation allows young women to experience the multiple aspects of a career in engineering, from developing a business plan and implementing the solution, to “selling” the idea. 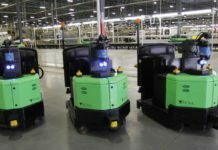 This real-world experience can influence educational paths and future career choices for young women while providing a foundation of skills that are needed to be successful in technical roles as they progress in their careers. 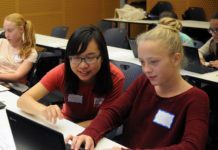 The Technovation program ties together technology and entrepreneurship and exposes girls to the broad spectrum of career options in science and engineering. It is hands-on, solving a real problem that requires working as a team to deliver a solution. The program gives these future technology leaders a chance to participate in all aspects in building a product, including identifying the problem, completing the market analysis, developing a mobile application and developing a business plan to launch the product. What is your favorite aspect of Technovation, and why? The final judging session is my favorite part. The enthusiasm and excitement of the teams is incredible. I was amazed by the creativity and ingenuity of each of the teams. It was great to see it all come together. Have you seen benefits to the girls and to yourself from participating in Technovation? What are the benefits? Participation in the program provides the girls with access to potential role models and guidance from experienced female technical leaders. For the role models like myself, we often learn new ways of looking at a problem. The relationship truly is symbiotic. As a woman who has a senior technical role, what would you tell girls to get them excited about technology? Think about a simple business problem that you want to solve or a repetitive task that could be alleviated with a mobile application. And then, take it one step further. Try to connect seemingly unrelated tasks into a powerful workflow that benefits the user. Would you encourage other tech companies to support Technovation? Why? I would definitely encourage other companies to get involved in the Technovation program. It demonstrates a commitment to developing female talent in technology and engineering, and it is an indicator that your corporate culture is a welcoming and supporting environment to women as they progress through their careers. In fact, during many hiring interviews, female candidates often ask what programs are available to women at Kronos to advance their careers. Actively supporting these types of programs attracts talent. Also, you might get an idea or two from the next generation of customers and leaders! !